Every once in a while I get a harebrained scheme to recover all of the throw pillows that we own. Which, by the way, is an obscene amount of throw pillows. During the move, at one point we had all of the pillows gathered in one place and it was like a grownup version of a ball pit. You could jump onto it off of the couch and there would be no danger of you ever hitting floor beneath all those pillows. Suffice it to say we’ve downsized. Anyway! I made a smarty-pants little hack for a simple sewing project to recover pillows if you avoid sewing zippers at all costs like I do. You can calculate measurements for any pillow form that you might have and go to town covering pillows to your heart’s content. 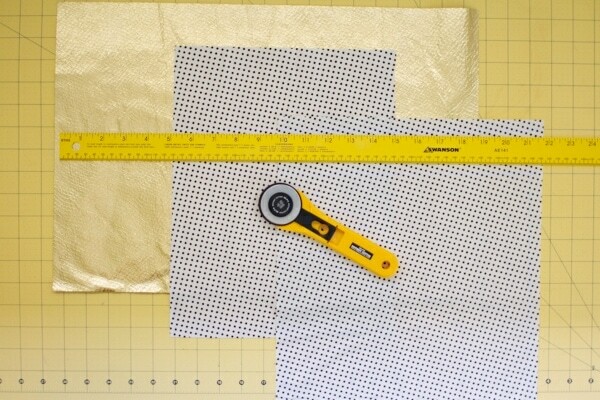 Start by calculating the measurements of the fabric you’ll need to cut. For the front side of the pillow you’ll cut one piece. Measure from seam to seam horizontally on your pillow. Add one inch to the measurement. Do the same vertically, adding an inch there as well, and that’s your fabric size. My pillow is 18″x12″, so my front piece of fabric is 19″x13″. For the back fabric, you’ll cut two pieces. 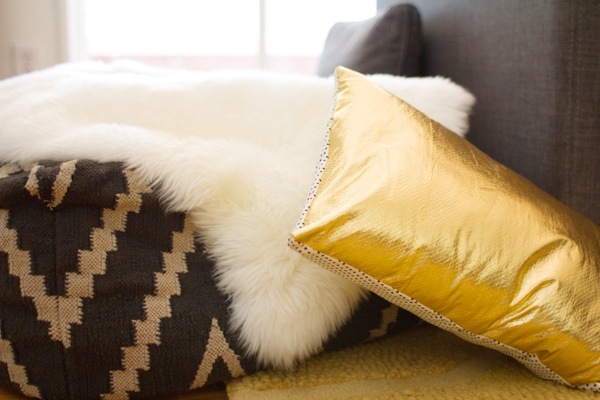 Start with the measurement from the front side of your pillow, before you added any length. Divide the longer measurement by two (in my case, that would equal 9″x12″). 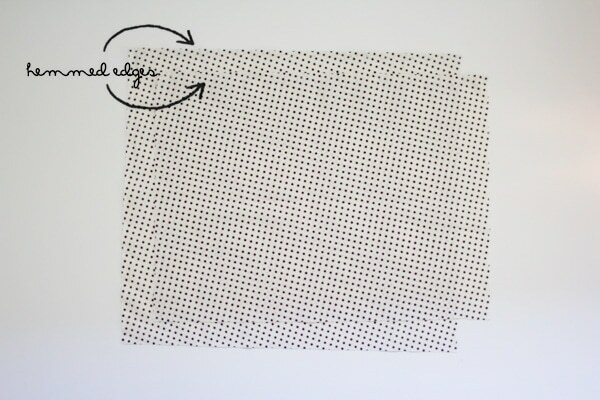 One one piece you’ll add an inch to each side, equaling 10″x13″. To the other piece you’ll add three inches to the side you divided earlier and one inch to the other side, equaling 12″x13″ in my case. Cut these out of the fabric you’d like on the back of your pillow. Pat yourself on the back for being good at math. On the two back pieces, fold and sew one 1/4″ hem on each, on the 13″ side. 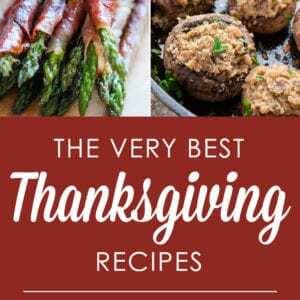 Grab some pins and pin your pieces together. With right sides facing, pin the back pieces to the front piece so that edges align. The longer back piece should be on top of the shorter back piece. 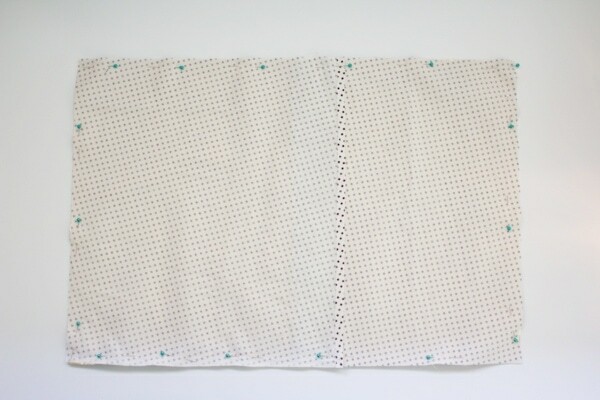 Sew a straight stitch around all four sides, leaving about a 1/4″ allowance. Flip the pillowcase right side out. Totally love these, Chels. The gold looks amazing. 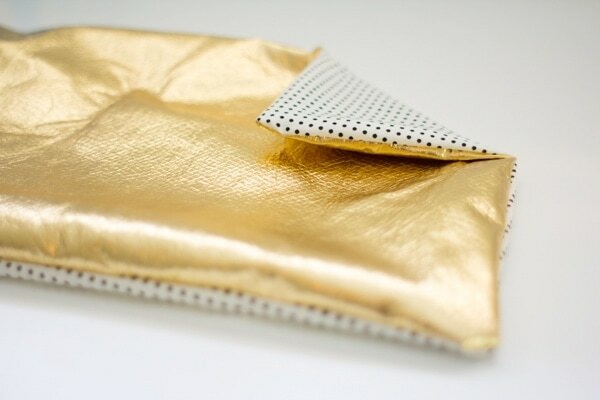 That polka dot fabric along with the gold is so cute! 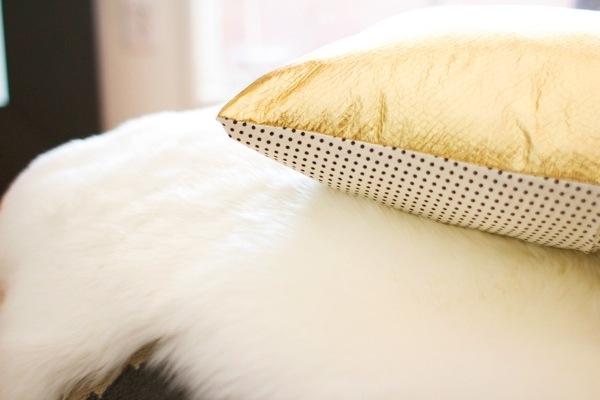 I love the mix of polka dots and gold Chelsea, so pretty!! 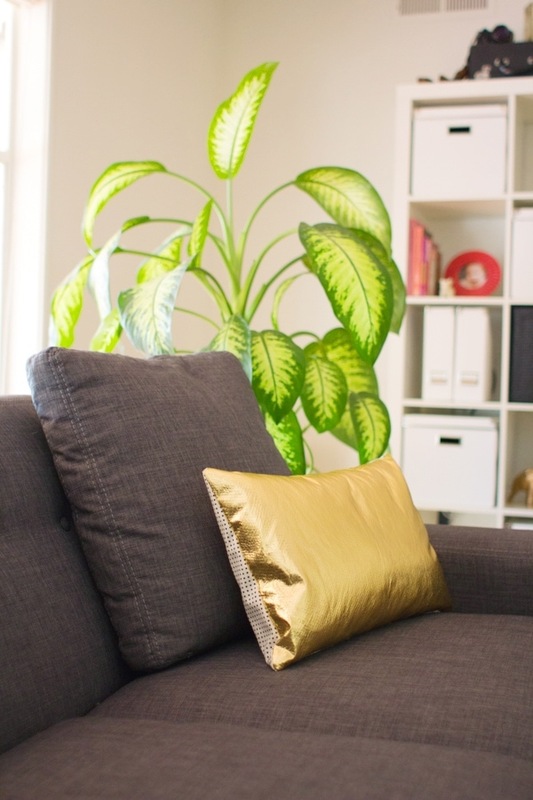 I love the gold alongside the polka dots. I really need to learn how to use a sewing machine so I can have a go at this! 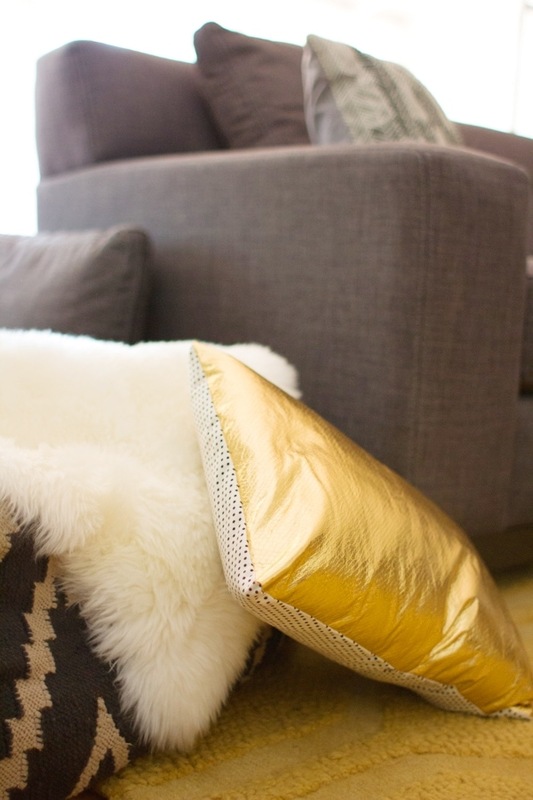 The gold fabric is great against the neutrals! 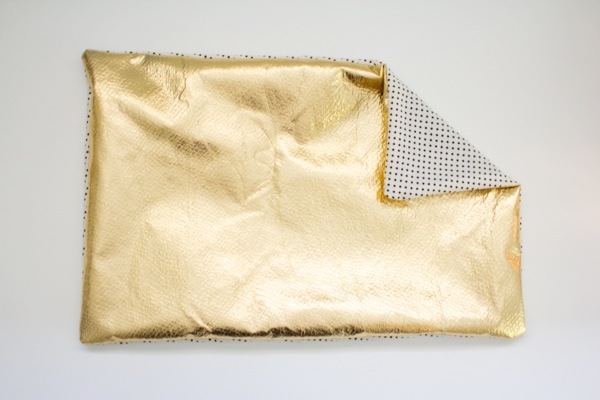 I use gold metallic on my Makeup Bags. 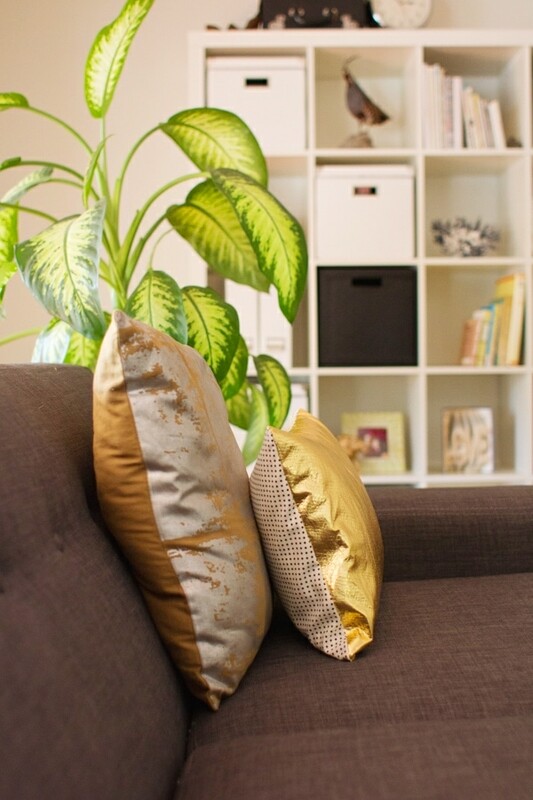 Wow….this is amazing.The techniques are really very easy and simple.Looking forward to making this pillow.Thanks a lot for sharing such an idea.